#264. Coast of Cornwall. 42 x 72, oil on canvas. "Gilbert Munger 1880" lower left. The New York Times reported on 14 April 1880: "Last year Munger was represented on the (Royal) Academy walls by three landscapes. This year he will submit to the Burlington House committee a similar number, the result of four months' work during the past Winter on the coast of Cornwall. One of these is especially notable. It is close, almost photographic, representation of a rock standing out in a wide stretch of rippling sea. The fidelity of the great stone portrait does not detract from the general breadth of the pictorial effect." 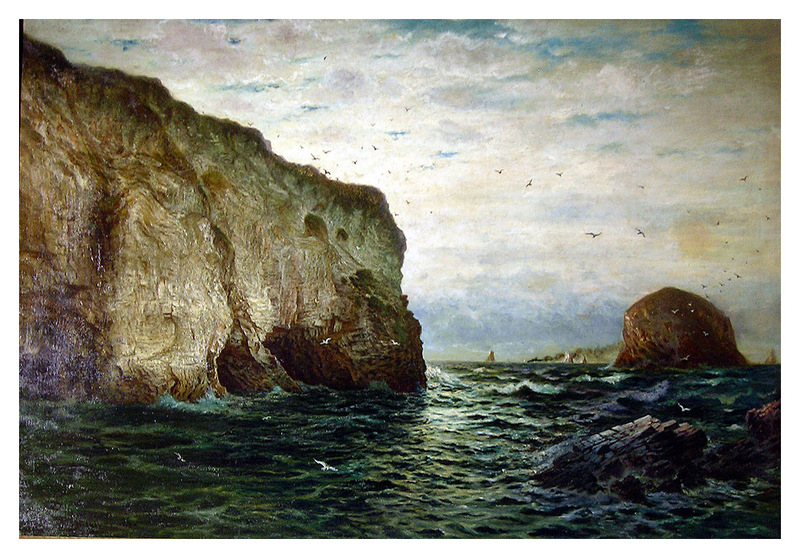 This is perhaps not the same painting, but the date and the image strongly suggest that it is also a Cornwall coast painting and may be one of the other two planned to be submitted. 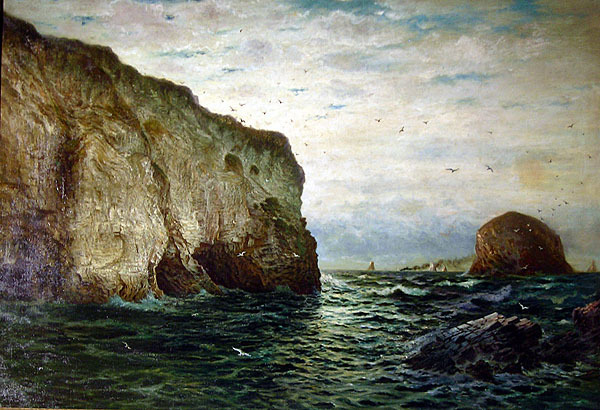 (In fact, only a Munger painting King Arthur's Castle, Tintagel was accepted at the Royal Academy in 1880.) The painting was bought in Italy around 1960 by an "old priest living in a retirement home for treating his depression, as his doctor told him a 'marina' painting to stand in front of his table should help." Image from email provided by the owner's son.